According to the Massachusetts Department of Fire Services, there were 31302 fires, 62 civilian deaths and $258 million in property damage in Massachusetts in the year of 2015. It is extremely important to have a properly installed and maintained fire alarm system in your house or business. Morrill Electric provides fire alarm system installation services for businesses large and small across Amesbury and the North Shore of Massachusetts. We encourage all businesses to routinely test their fire alarms at least twice a year in order to ensure they are functioning properly. Our technicians are capable of conducting these fire alarm tests for your business. Notice that your fire alarm is outdated or faulty? Morrill Electric will replace it and install a state-of-the-art system that will last for years. 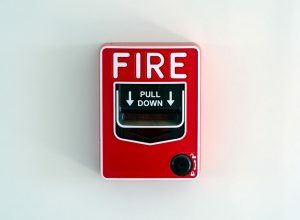 The North Shore area is becoming increasingly popular for renters, and Massachusetts law requires a working fire alarm in all apartment buildings. If you’re a property owner or apartment owner, Morrill Electric will design and install a new fire alarm system for your apartment building or single family home with multiple units. We want your tenants to be safe and we also want to make sure you protect your property. Our residential services also extend to single family homeowners looking to make their home more safe. Contact us today for a free quote!